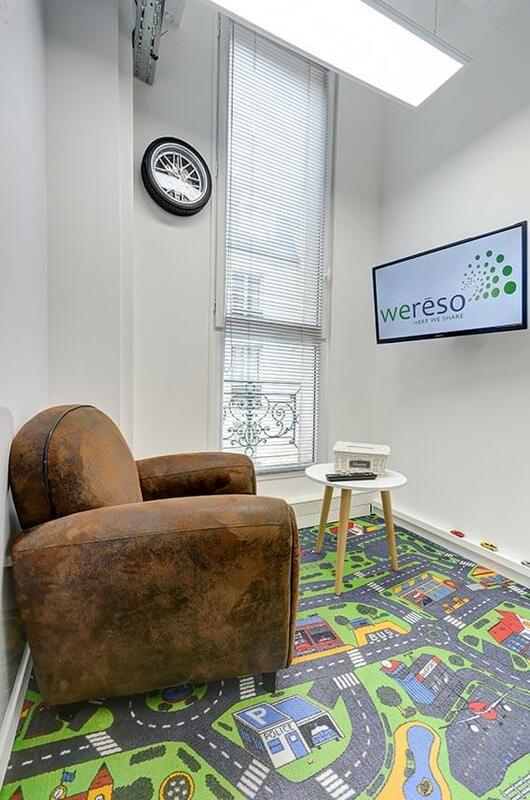 Located in the heart of Colombes, weréso offers you private offices, a shared coworking space, as well as meeting/conference rooms for your seminars, conferences, meetings, cocktail events, training sessions, and more. Weréso is also a place for free-flowing discussion, that is at the same time designed for a productive workstyle. Joining and participating in a professional network is both an opportunity and a necessity for working efficiently. And thanks to its location in central Colombes, getting to weréso is easy. With restaurants and shops conveniently nearby, things tend to go very smoothly around here for our clients. As for our Jobbers, their only goal is to make your life easier! The Nationale conference room can seat up to 7 people in a U-shape layout or 10 in a rectangle. The other conference rooms we offer are the Foch room (15-20 people), Marathon (2-4 people), and Planète (2-4 people). All our meeting rooms are kitted out with all the equipment you need to organise your events. And if you wish, we can offer you a turnkey solution and take care of organising your event from A to Z. Our shared offices are laid out in little islands of desks, to maintain peace and quiet and allow for concentration. Entirely dedicated to coworking, you can rent your space there by the hour, the day, or the month. You can even close off your workstation for privacy. With its fully modular furniture, the shared space can be used to host your team-building seminars, workshops, or even your company’s cocktail parties. From €619 per month (excl. tax), you’ll have an office you can call your very own. You can also take advantage of our all-inclusive service! 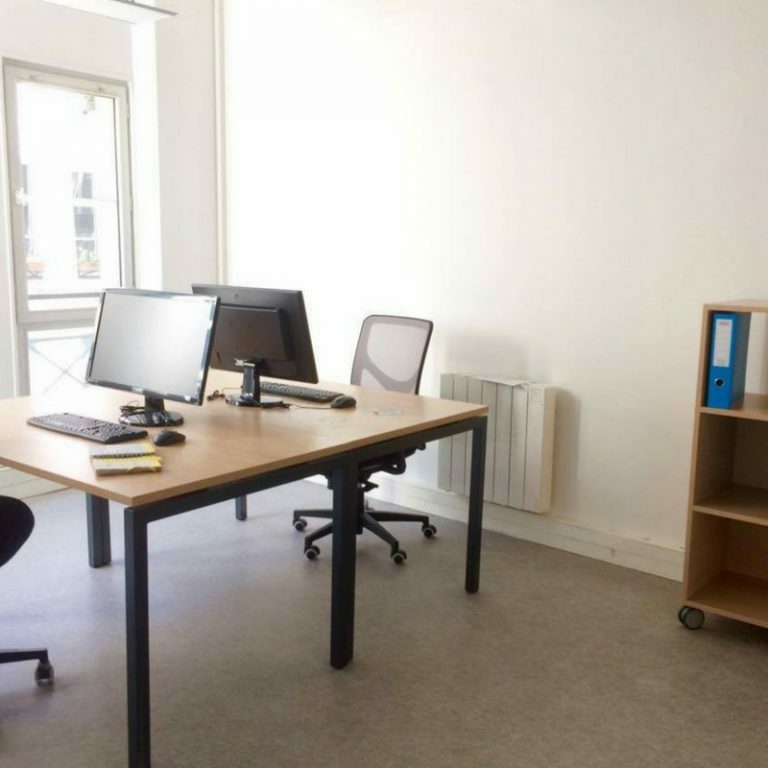 At the heart of Lille, we offer private offices for 1-4 workstations. With plenty of natural light and all the necessary furnishings (tables, chairs, screens, telephone), you can simply set up your computer on the desk and get to work! We have soundproof call rooms in the shared workspace, so you can take and make your phone calls with all the privacy you need, and without disturbing your coworkers’ peace and quiet. Did you ever wish you could work out between noon and 2pm, then host an important meeting at 2.15pm? Well, here at weréso, you can! And even if there is no appointment following your workout—after breaking a sweat, you can relax! Treat yourself to a quick shower and a decent meal! 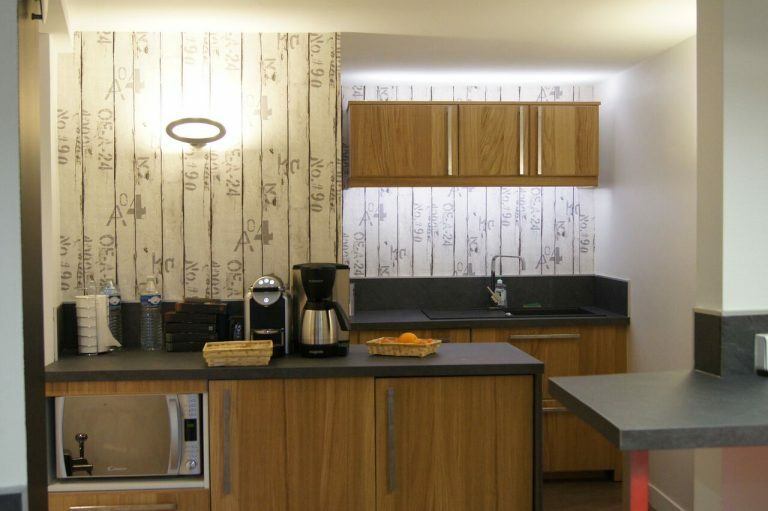 Not only is the kitchen a great place for swapping ideas and shooting the breeze, it also has microwaves, fridges, coffee-makers, and a kettle, so you can flaunt your discriminating tastes! Come and share meals and discover unconventional professions and personalities. Do you need a space to...? Would you like to reserve a space? Would you prefer that we call you? Would you like to come and meet us?